We provide a comprehensive range of additional services to customers in connection with the production in microbreweries. A professional consultation with our specialist should be your first step towards the realization of your project. Processing of the economic model of the project, offer processing for optimally designed production equipment and graphic design of its spatial location in your building. Designing and engineering for breweries, supervision work, analysis of business plans for the future breweries, financial analysis, preparation of operating and construction documentation. We provide a service assembling of brewery at our customer by construction workers. We ship all brewery components produced to its destination, where they are assembled by installation team. One of the variants of the supplies is a turnkey brewery. We analyze the current state of the brewery and prepare a proposal for the effective implementation of modern technologies and practices. The aim is to increase the productivity of beer and the introduction of modern standards of production and operations management. 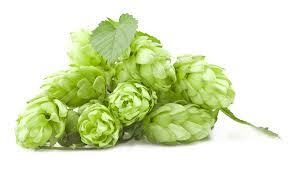 We offer assistance services for starting and also already operating microbreweries. All services are provided by Czech qualified brewer . Training services, marketing services, raw-material suplying services, consulting services for small breweries. We teach and coach of brewers and operators who are starting new breweries. Hiring Czech brewmasters. Consulting services for operators breweries. We train brewers and breweries auxiliary personnel to guide our company supplied breweries . We teach and coach of cidermakers and operators who are starting new cider lines. Theory and practices of the professional cider production. We can only rent a professional cidermaker for your new starting cider production line. We provide regular supply of raw materials for the production of Czech and foreign types of beer for brewery operators around the world – malt, hops, brewer’s yeast and concentrates. An important prerequisite for the production of good and tasty beer of the selected type are equivalent quality raw material.